At Creative IT, our aim is to provide excellent Samsung laptop repair services to residential and business customers and students based all over UK. We are a nationwide full-service centre and we offer a convenient mail-in service for UK residents. 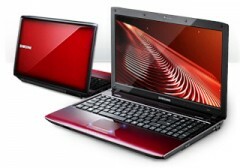 So get in touch with Creative IT for your entire Samsung notebook repair requirements. Our laptop technicians and hardware engineers are adept to draw out the causes of the problems that affect the entire Samsung laptop series including Samsung Everyday, Performance, Thin and light and Samsung Business notebook computers and accordingly provide effective, clear-cut Samsung laptop repair solutions to fix your hardware and software problems at cost-effective rates. We offer same day Samsung notebook repair and upgrade services to customers based in and around London and fast services to UK customers. We can also arrange professional courier pick up services for those who cannot bring their faulty Samsung notebook computer to our Central London repair centre. To know more about our London Samsung laptop repair services, contact us at 020 7237 6805 or e-mail us at info@creativeit.tv.